With a continuous history of winemaking since the 1850s, the Mudgee Region is the third largest grape-producing region in NSW and has more than 110 wine grape growers and around 30 cellar doors. Mudgee Region’s temperate climate allows for the slow ripening of grapes, producing red wines of great intensity, depth and flavour. The region produces great chardonnay and has a reputation for crafting cabernet sauvignon and shiraz of great character; recent years has also seen success with sangiovese, barbera and zinfandel. 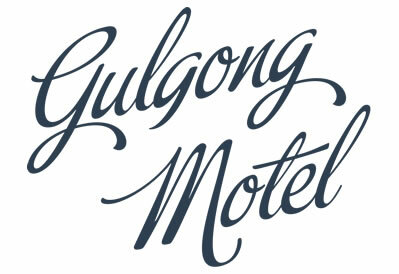 There are a number of Gulgong tours that will show you some of our of Region’s highlights. The beautiful Mudgee valley is home to some of the best wineries in Australia. Visit award winning wineries and taste superb wines in cool quiet cellars. Choose an organised tour or design your own Private Tour. Take a tour around the picturesque villages surrounding Mudgee where you can explore the area's many attractions and lose yourself in its wealth of history. Many of the region's attractions have a unique story to tell, and Terry, a born and bred local, is the ideal guide to tell them. Experience the delectable Mudgee region with Mudgee Tourist Bus as we personally introduce you to this food and wine lovers' paradise. Allow us to pick you up from your base and drive you to discover all this region has to offer. Your guide, Brian, has lived in Mudgee for many years and is a wealth of local knowledge. All the wine growers we visit on our wine tours are personally known to us, so you can be sure of a warm welcome wherever we go! Enhance your visit to Mudgee with "Tour Mudgee Now & Then". We can offer a completely flexible itinerary including the architecture, history and of course wineries of the Mudgee region. If you have particular wineries or locations you would like to visit let Mark know or leave it to him to customise the ultimate cellar door experience. Your host, Mark Morris, has lived and been associated with the Mudgee region for over 30 years and has a knowledge of Mudgee and its surrounds that only comes from a wealth of experience.